Imagine you are a smallholder farmer in Kenya who relies on rainfall and mountain-fed irrigation for your agriculture. After experiencing back-to-back droughts in 2016 and 2017, you are unsure about what to expect for the upcoming 2018 growing season. Will the rains come back this year? Will there be yet another drought? These questions affect important decisions that farmers make before and during the growing season such as whether to plant drought-resistent crops or whether to purchase early maturing seed varieties. The 2018 rainy season in central Kenya has been anything but ordinary. While many farmers relished the above-average volumes of rainfall which they hope will lead to a productive growing season, other farmers suffered from the deluges that led to flooded fields and washed away crops. 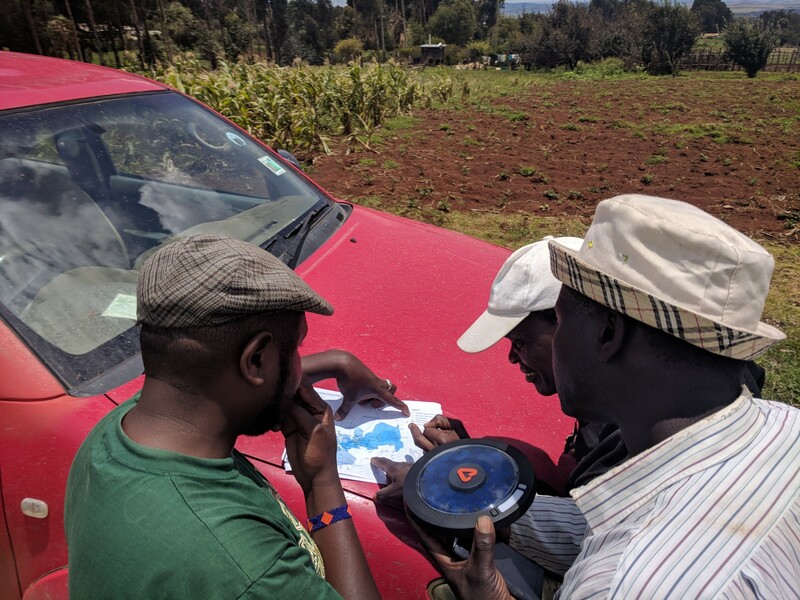 The WAVES team, led by PhD student Natasha Krell, sought out to understand these questions surrounding agricultural decision-making using advances in real-time crop monitoring weather stations and social science surveys. Together with our instrumental Kenya-based team members, John Gitonga and Boniface Mukoma, the WAVES lab deployed ca. 60 field-based Arable Mark crop-monitoring weather stations as well as led social science surveys of over 600 farmers. 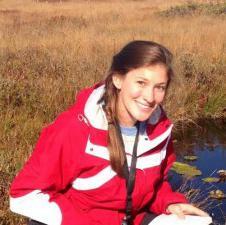 Research collaborations between the WAVES lab at U.C. Santa Barbara, the University of Arizona, the California Polytechnic State University, and the Mpala Research Center in Laikipia, Kenya culminated in a household survey on agricultural management, water resource governance, use of weather and climate forecasts, coping and adaptation to climate as well as other topics. The researchers gathered longitudinal data on over 600 heads of households or spouses in Laikipia, Meru and Nyeri counties. 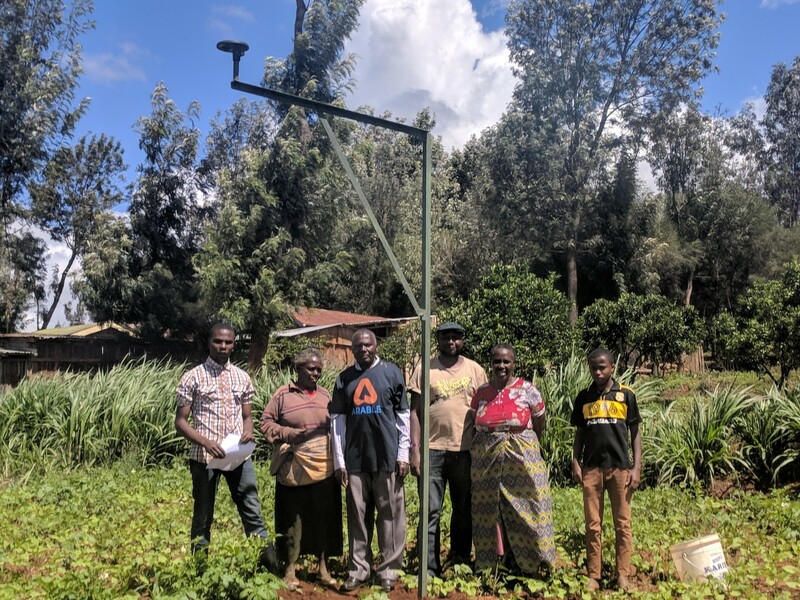 As the NSF-WSC grant comes to an end in 2019, our research highlights advances in environmental data collection through a field-based sensor network along with farmer surveys to better understand how smallholders respond to climate variability. Our findings can provide insight on agricultural shocks such as crop failure or pest and disease occurence, and to what extent these shocks can be predicted and mitigated. Ryan visited Old Domion University to teach research computing skills in a two day workshop.